Go Team Venture! | Critical End! I’m a big fan of The Venture Bros. on Cartoon Network’s Adult Swim lineup of programming. Other than Robot Chicken, it’s the only Adult Swim cartoon I still watch. The fourth season blu-ray just came out, and having already secured it and quickly wolfed down every morsel of its content, let me assure you that it is a worthy purchase indeed. And the blu-ray really is the way to go. The animation is gorgeous in high def. But that’s not why I’m writing today. Series co-creator Jackson Publick announced on his blog that not only has the show been renewed for two more pulse-pounding seasons, but a 90 minute TV movie is on the way as well. That’s huge news, and frankly, a load off my mind, since every show I like gets cancelled after a few seasons, especially quirky niche shows like Venture Bros. The finale of season four opened up a lot of interesting possibilities, and it’s great that they’ll have at least two more seasons to explore them. One of my favorite things about the show is that the creators don’t just reset the status quo every episode. Characters grow and change, taking full advantage of the serial nature of television. A welcome surprise from a comedy cartoon that first appeared to be a straight forward parody of Johnny Quest, but has grown into an amazingly well-written show that tackles love, failure, growing up, and even death while still remaining funny and packed full of 60s throwback action. 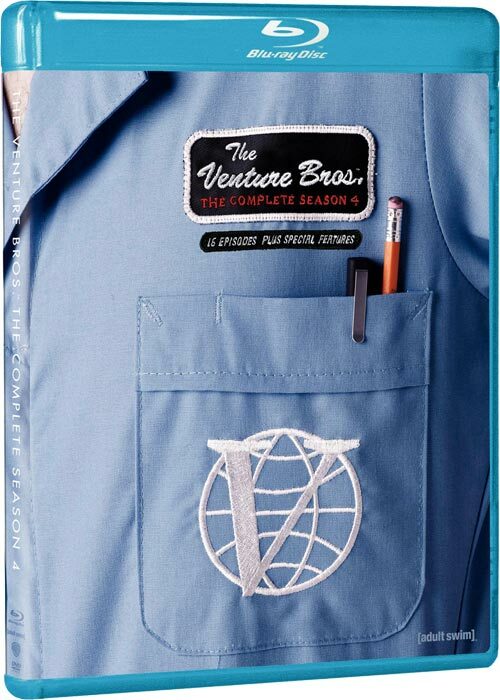 So kudos to you, Team Venture. Here’s to many more seasons of hilarity, heartbreak, and of course, adventure. Chevy Returns and Now Pee-wee? BEST. YEAR. EVER. This entry was posted on Monday, March 28th, 2011 at 6:00 amand is filed under . You can follow any responses to this entry through the RSS 2.0 feed. Both comments and pings are currently closed.